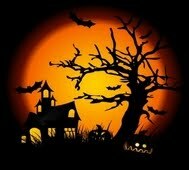 Looking for something fun to do this Halloween in the Harrisburg and Hershey area in Pennsylvania? If so...we got a real spooky treat for you this year! The Broadway Classics Productions is holding the Back Stage Horrors at the Harrisburg Mall in the former Boscov's department store! This is a haunted walk-through maze that has been professionally done so you know you are going to be scared out of your pants and have nightmares for weeks! There will be spooky ghosts, bats, goblins, skeletons and monsters galore! You know all those things related to Halloween that you are scared of? Well....come on over and face your fears! The tickets are $17.00 per person and the event opens on October 7th and runs through November 6th, 2011. To find the hours of operation and the schedule of events please visit the Broadway Classics Productions web site! You can also follow them over on Facebook so that you can be kept up to date with news, specials and announcements! Have a spooky good time!